Indian wind energy sector has been developing into the main stream of industrial activity with active participation of the private sector. All the major stakeholders expressed the need for establishing the certification facility in India. Accordingly, Ministry of New and Renewable Energy (MNRE) has established Certification Division of NIWE with the technical support and partial financial assistance from DANIDA, Denmark. RISO National Laboratory, Denmark acted as Technical Consultants to establish the Certification expertise in India. Indian wind energy sector has grown over decades and it is considered as one of the main stream of power generation in the Country. 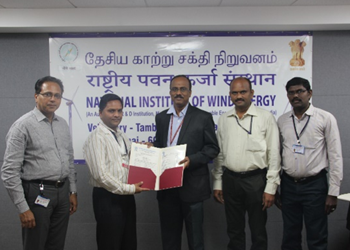 Type Certification of wind turbines plays an active role to facilitate the orderly growth of wind energy sector in India. Internationally, IEC /IECRE Certification schemes for wind turbines are well recognized and widely used. 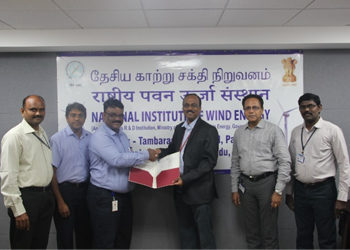 Ministry of New and Renewable Energy (MNRE), Government of India has notified a draft certification scheme viz., Indian Wind Turbine Certification scheme (IWTCS) vide notification dated 05.11.2018 and recognized NIWE as Type Certification body in India. The Type Certificate confirms that the wind turbine type is designed in conformity with the design assumptions, specific standards and other technical requirements for wind turbines. Type Certificate provides confidence to the stakeholders including Financial Institutions. Type certification applies to a series of wind turbines of common design and manufacture.  Type Certification services are certified as per ISO 9001 standard and recognized by the Govt of India. The purpose of project certification is to evaluate whether type-certified wind turbines and particular support structure/foundation(s) designs are in conformity with the external conditions, applicable construction and electrical codes and other requirements relevant to a specific site. Safety & Performance Assessment for the wind turbines connected to the grid which are in operation for more than 80% of the design life. The outcome of the assessment facilitates in extending the operation of the turbine. Certification division has completed 11 certification projects and more than 55 renewals of PTC projects as per TAPS -2000. The Division also involves in creating the necessary IT infrastructure for effective dissemination of information.